Greg Boon's latest column for TRU focuses on Worcester Warriors and why they could be in trouble this season. Two clubs. One recently promoted and the other established in the Premiership since 2011 are both pundits’ picks for the drop this year. One is focusing on survival while the other, newcomers Bristol Bears, are aiming for top six. Worcester are the bookies favourite for the drop after spending the whole of last season in the bottom two and having never finished higher than eighth. I said in my season preview for TRU that there’s a strong spine to the Warriors squad, but options in the pack are limited and the majority of players are the same that have struggled in previous seasons. 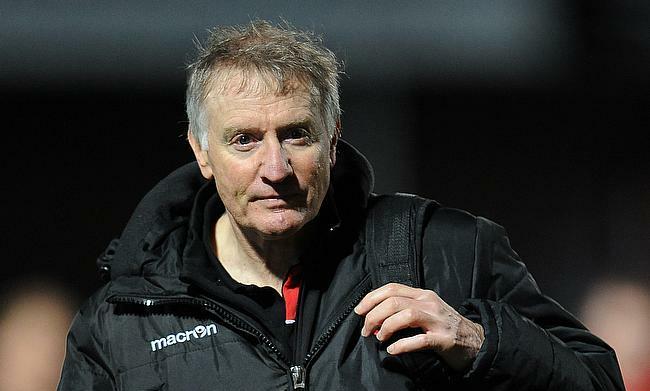 Alan Solomons’ recruitment doesn’t send the message that Warriors are here to stay in the Premiership and they are looking to build year on year whereas Bristol’s does. The men from Ashton Gate have made clear their ambitions are looking up the table and they have grander plans. The Bears goal is lofty and unlikely but it sets out their stall. This translates onto the pitch. If you believe, no matter how unlikely, that you are competing – not fighting – for a top six place then as a player, you play a very different style to that of a team expecting a relegation battle. The mind-set and approach to games are stark. Pat Lam has been clear. There has been no talk of mere survival, no mention of their history and previous visits to the Premiership. They are here to do more than just survive, and they are here to thrive. Compare that to his counterpart, Solomons. When he was asked whether there was a chance Warriors could finally achieve a long-held ambition and finish in the top six, his reply was vague and somewhat evasive. : “It wasn’t a question of that” Solomons replied. “It was about their processes and performances”. As Worcester fell to Sale in a game short of quality on Sunday, I was struck by how little progress the Warriors have made. Warriors are a side set up to battle it out at the bottom, but have shown little signs of development. This isn’t so much of a transition season such as we are seeing at Northampton or Harlequins, but more of the same. This approach doesn’t revitalise Warriors or set them free of the ghosts of seasons past. In the first three minutes, Duncan Weir had shinned a clearance, Ryan Mills kicked straight into touch from his 22 and Warriors gave away a penalty at the line out. It was a routine that was to play out repeatedly through the half, along with missed line outs and turnovers in contact. Two intercepts were also worrying for Worcester. Marland Yarde was denied capitalising on one by the bounce of the ball and Denny Solomona made no mistake with the second gift. The perfect response from Sale ?? Warriors New Head Coach Rory Duncan admitted to BTSport he was still getting used to the differences between the Premiership and other leagues. He specifically highlighted “game management and the way the opposition push teams back”, little surprise then that Worcester couldn’t find a way out their half in the first 40 minutes. They went 38 phases at the end of the first half. 38 phases without scoring a single point. It simply isn’t good enough for a backline that despite missing Francois Hougaard and Ben Te’o, still boasts Bryce Heem, Josh Adams and Francois Venter. Jono Lance’s arrival at Warriors last season resulted in an uptake in their form so it is a mystery why he languished on the bench while Weir struggled to create holes in Sale’s defence. Warriors came out with more purpose in the second half and despite their lacklustre first period, they still managed to close to within six points of Sale, courtesy of tries from Heem and Chris Pennell. You could say that money talks and it is true that Warriors do not have the funds that their relegation rivals Bristol have. Yet Warriors had an opportunity to come away from the AJ Bell with a win, as they did when they played Wasps in Round One. Money or not, they could and should be two from two going into the third round, but instead, they will be pleased to keep picking up points to guard against the coming relegation. Two losing bonus points from the first two games is a good start if you’re hoping to survive. How different could it have been if they had beaten Wasps and Sharks, as they came so close to doing? Warriors went into this season already feeling the pending doom, how different could it have been had the club freed them from such pressures and inspired them to aim higher.